Kyros, the young British prog band previously known as Synaesthesia, will release their second album, the double affair Vox Humana, on November 5. It will be the band’s first full-length independent release since their 2014 Synaesthesia debut on GEP. 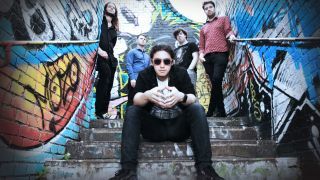 The band released 2015’s Beta EP following changing their name to Kyros. Vox Hmana will be preceded by the Cloudburst maxi single on September 21. Both products will be released in physical CD format with purchasing available through the band’s website and Amazon UK, and digital releases through iTunes, Tidal, Deezer, Spotify and more. Optional bundle packages will be available through the band’s online store where both the double album and maxi-single can be purchased together at a special discounted price. The buyer will receive the maxi-single soon after the day of release and the double album a few days before the official release date.